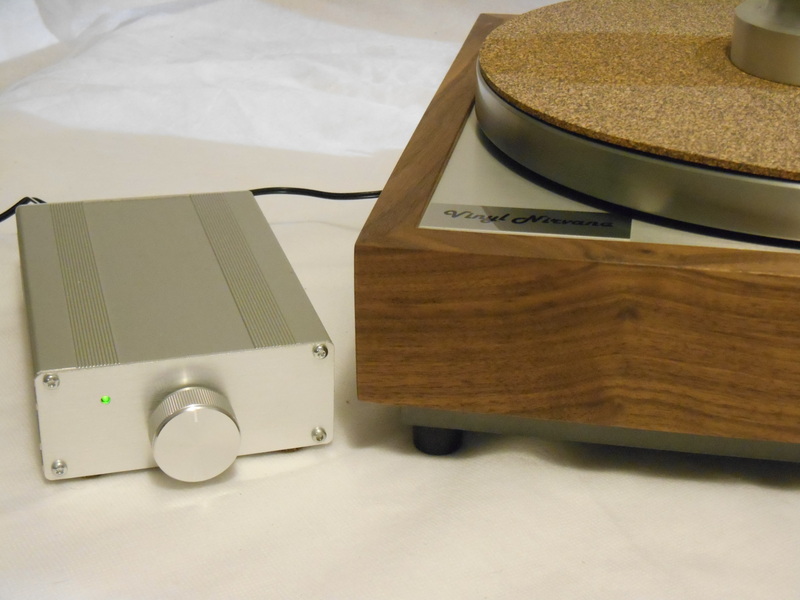 Okay, you can tell from my website and my descriptions that I get pretty excited about turntables and the peripheries…even after all these years. Well, multiply that excitement tenfold and you will know how I feel about this specific turntable. 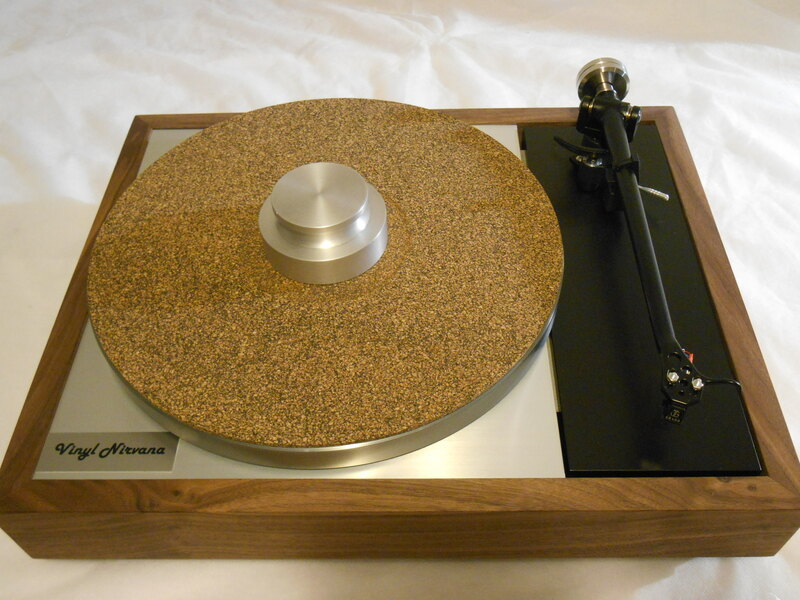 I have been modifying the wonderful and venerable Thorens TD – 150 for over 10 years. 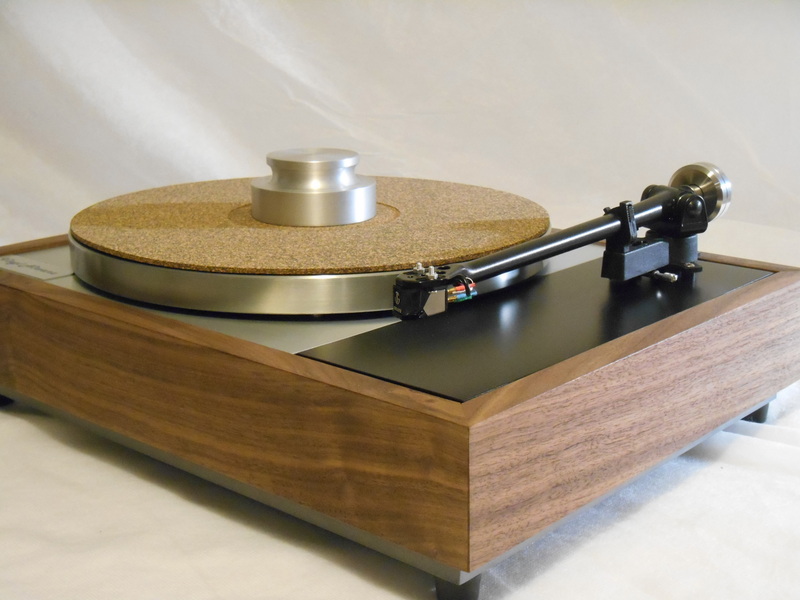 For about five years I have been fantasizing about creating the turntable you see before you. 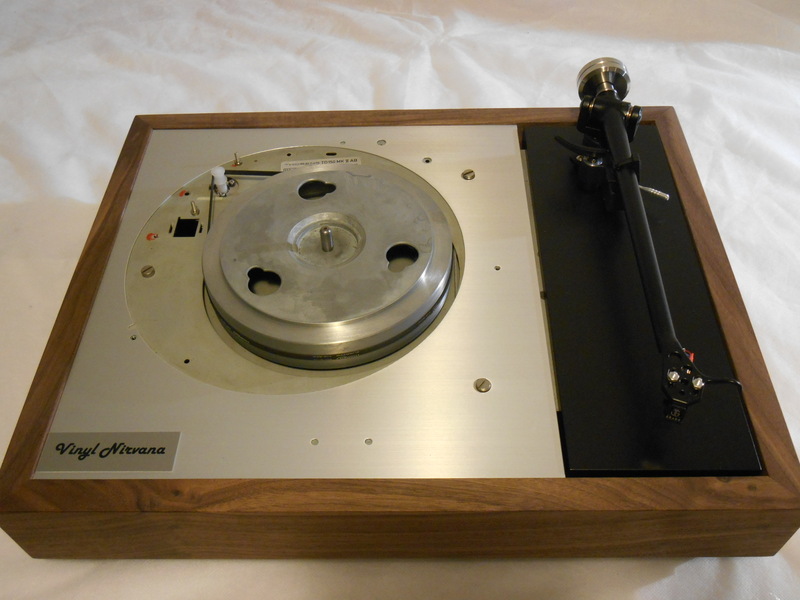 The basic idea was to extend the footprint of the turntable to allow a Linn/TD-125 sized arm board. From there, well things just took off. The gorgeous plinth is made from black walnut, and the armboard is birch plywood painted satin black. To round out the unit, and make this first one extra special, I installed a brand-new Rega RB-202 badged Moth with upgraded Cardas wire and clips, as well as excellent Art Pop RCAs. 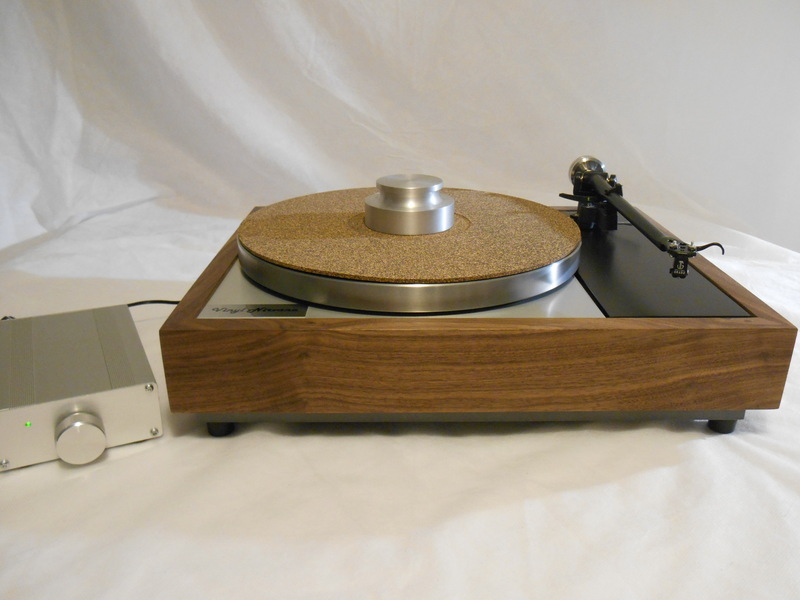 Cosmetically, this turntable is a solid 9.5/10 The black walnut plinth is brand new, as is the armboard. The metal portion of the plinth is new also as I had custom plates made from brushed aluminum. They look amazing! The new custom set-on style dust cover is included. This unit also features the complete performance enhancement package, a $200 value. I said earlier that this was loosely modeled on the Linn LP-12. I would wager that at the fraction of the cost of a new LP_12, this transformed TD-150 would give even the present day Linn a run for its money. For more info, watch the video at the bottom of the page. Rega arms are continually hailed for their performance and value. 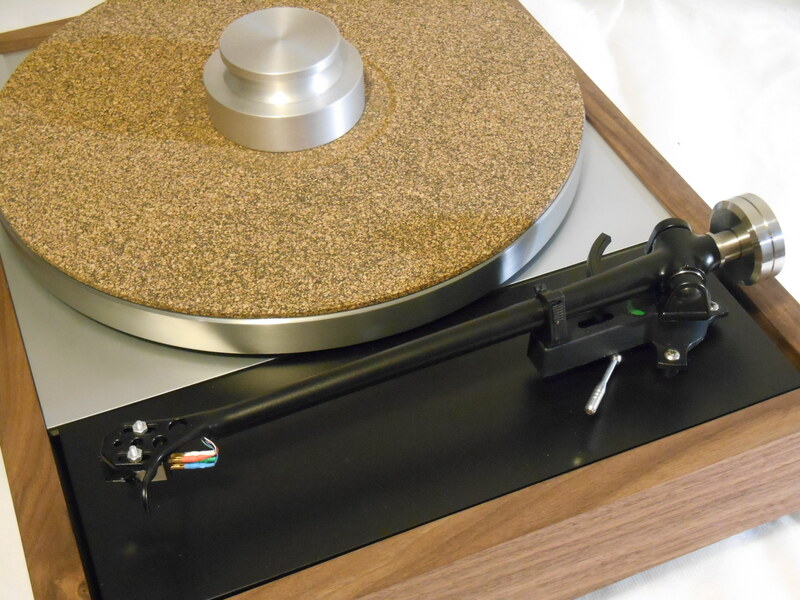 This new Rega RB-202, badged as Moth, is no exception. The new three point attachment design mounts the arm rigidly to the new black walnut armboard. The arm has been professionally rewired with Cardas wiring from clips to RCA. Clips are also Cardas and the RCAs are ART Pop. This table and arm capable of handling cartridges in the $200 to $1000 range with ease. I am an Ortofon, Dynavector, and Grado dealer. If the new owner wants me to purchase one from me, installation and alignment is free. Or, if you want to send your own cartridge, mounting and alignment is $30. The Grado Black with 8MZ stylus pictured (and heard in the video below) is $169 installed. 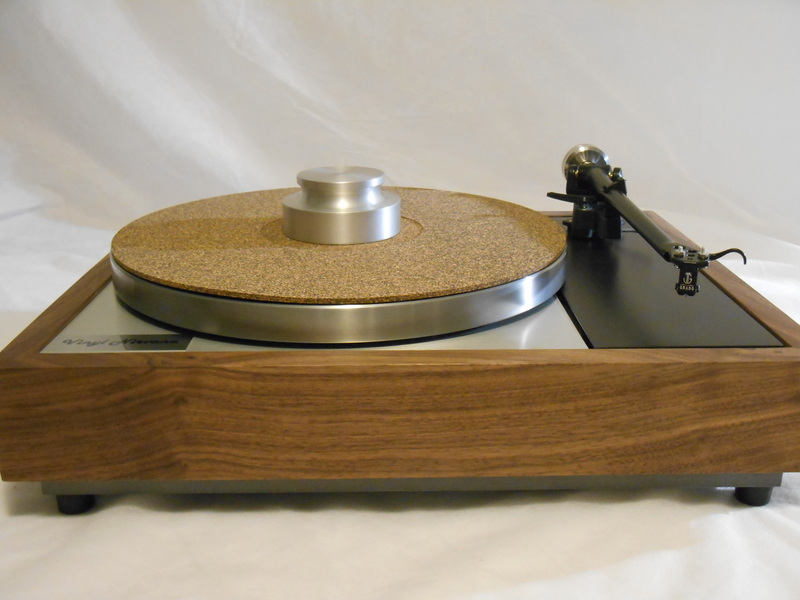 New for 2015, I will be offering more turntables with the amazing Origin Live Advanced DC Motor option (retail $550) Though Thorens stock motors are incredibly reliable, I know it will give many extra piece of mind to have a new motor installed. Origin Live started offering their DC Motor kits in the mid-90s and have continued to refine and improve them for over twenty years. 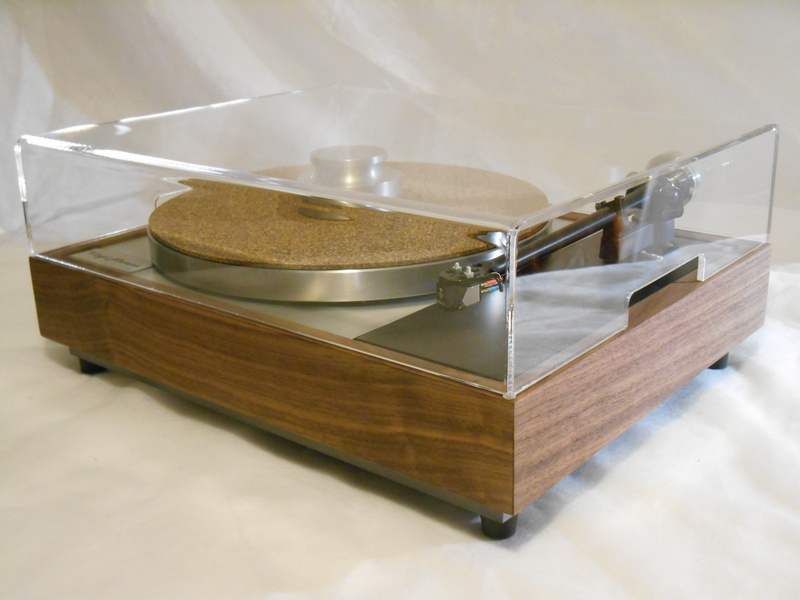 When I first installed one in a Thorens, I was impressed with two things immediately: 1) the start up torque and 2) the wonderful pacing it added to my lps, especially ones that were rhythmically oriented. For example, I played quite a few lps by Art Blakey and the Jazz Messengers. I know these albums intimately, and on many tracks I was drawn into them to an extent I’d never experienced before. Much more on Origin Live here. An interesting “debate” about AC vs DC in turntable motors. Acrylic Set-on style dust cover included! New Origin Live Advanced DC Motor Kit installed!